At the intersection of Church Circle and Franklin Street in Annapolis sits the Circuit Courthouse for Anne Arundel County, a popular wedding spot for those eager to wed or just looking for a practical, inexpensive spot to tie the knot. In the courtyard, excited couples in all combinations of ethnicities pose for photographs. This is a sign of how far our nation has come; before the 1967 US Supreme Court decision in Loving v. Virginia, states were still allowed to place race-based restrictions on marriage. 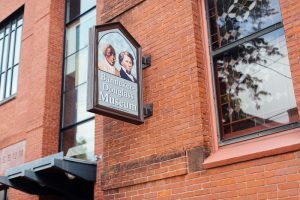 Just a little further down Franklin Street, one of the quieter spokes radiating from the hub of Church Circle, is the Banneker-Douglass Museum. A visit there reveals how far—in terms of understanding our state’s African-American history—we have yet to go. Before it was dedicated as the Banneker-Douglass Museum in 1984, the older section of the building, constructed in 1875, was Mount Moriah African Methodist Episcopal Church. The church was included in Annapolis’ Historic District in 1971, and added to the National Registry of Historic Places in 1973. 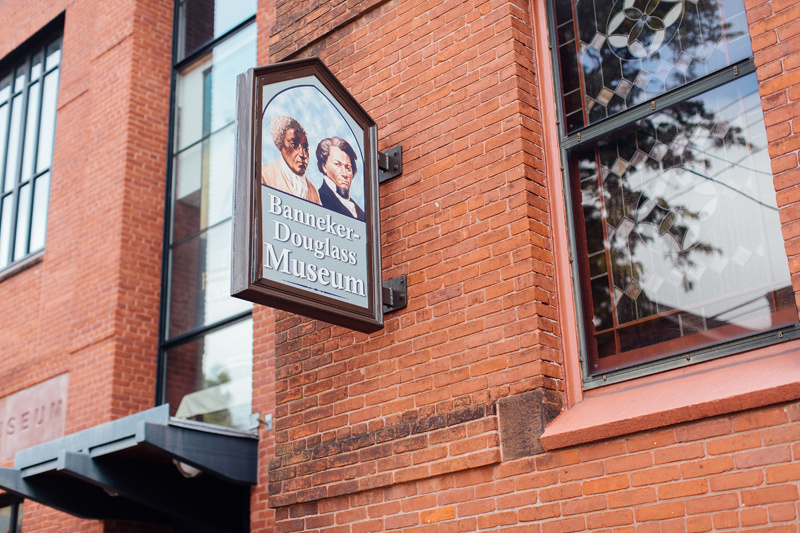 The museum bears the names of two prominent Maryland-born African-American historic figures: free-born Benjamin Banneker—a scientist, mathematician, writer, and activist—and Frederick Douglass, who escaped from slavery and was the first prominent African-American activist, advocating for the anti-slavery movement and women’s suffrage. He also produced newspapers and, in 1845, published an autobiography that gained worldwide recognition. 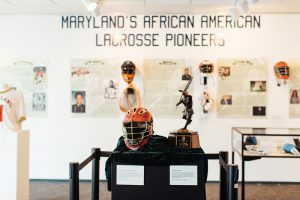 As Banneker-Douglass grew, an addition housing and exhibiting the museum’s permanent collection was completed in 2006. 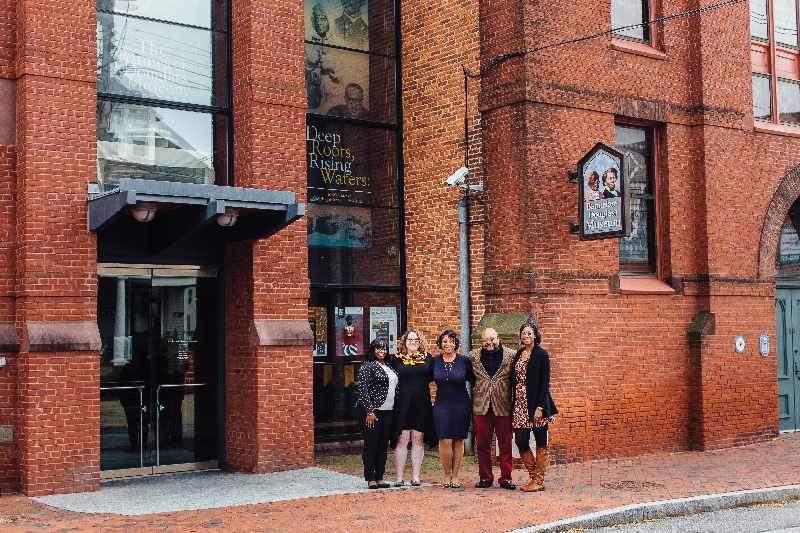 Interim Director Maya Davis and her colleagues share a passion for researching some of Maryland’s lesser-known history and historical figures. 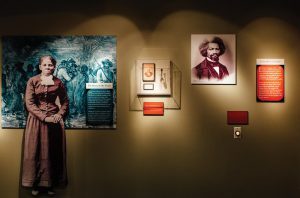 Davis’ work with the Maryland State Archives Study of the Legacy of Slavery makes her especially qualified to debunk misconceptions about slavery in Maryland. She explains that there were more slaves in counties on the Western Shore of the Chesapeake Bay than many presume, while on the Eastern Shore, there were also large free black communities. Davis says that building and telling those untold stories is one the museum’s key missions. She sees the potential for the museum to grow and make an impact. “[I] would like to see [Maryland’s civil rights history] become included in the national story,” she explains. Visitors to the museum can find information and photographs that document the movement in the permanent collection exhibit in the new wing. Another of Banneker-Douglass’ prominent collections is the Thomas Baden Collection. Baden was a prolific African-American photographer in the Annapolis area who documented cultural events and everyday life in the 1950s and ’60s. Some of his photographs are featured in Jumping the Broom, an exhibit on display in the church portion of the museum until January 21, 2017. Shakia Gullette, curator of exhibitions, explains that Jumping the Broom is part of a series of community-requested exhibitions. “We’re working on strengthening relationships with them,” she says. The title refers to a marriage custom practiced by enslaved African-Americans. Such marriages were not legally recognized, and slaveholders could break up the family, separating couples from each other and their children. 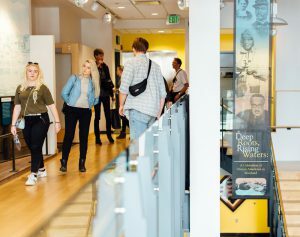 The exhibit features a reproduction of an early, treasured marriage license, decorated brooms that contemporary couples use in their wedding ceremonies, and photographs showing the evolution of traditions and wedding fashion. “We actually have a floor dedicated to couples who have been married 50 years or more,” says Gullette. The husband in one of the couples, married for 72 years, is named Methuselah, and the biblical reference opens up conversation. The staff is currently researching the family legacy of Charity Folks, whose family was one of the wealthiest African-American families in Annapolis. The effort may culminate in an exhibit, but regardless of the outcome, it’s an important endeavor. 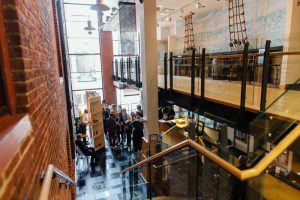 “Just for the staff to be aware of some of the unknown stories makes us a more powerful museum,” Davis says. Error: Error validating access token: Session has expired on Saturday, 09-Mar-19 15:57:50 PST. The current time is Tuesday, 23-Apr-19 09:40:21 PDT.